The company was founded in 1981 by Mr. Lorenz Bohle. The founder is owner and managing director of the company. A large number of well-known multi nationals belong to the group of satisfied Bohle customers. Bohle has got an export rate of about 30 %. Nearly 30 % of the total turnover is generated in the US. The US market is served by the Bohle LLC which is based in Warminster, Pennsylvania. The second important market is Germany. Bohle is still very present in Middle and Southern Europe and expends the activity in Eastern Europe especially in Russia. Furthermore the Asian market is very important to the German machine builder. Due to the subsidiaries in India and China the turnover share of Asia enlarged. In the recent past Bohle also increased the sales in South- and Middle America. For instance, film coater, blending systems, fluid bed systems, single pot and high shear granulators, dry granulators, handling systems and much more were successfully planned and built by Bohle. 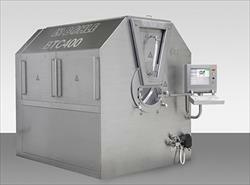 The German engineering company also creates laboratory equipment for the research and development units of its clients. Bohle is the technological leader in the field of coating machines and with more than 2500 sold blenders the world market leader in this segment. Besides the batch processing technology L.B. Bohle focusses on continuous processing with the continuous production unit, the roller compacter BRC and the semi-continuous coater KOCO ®. The headquarters are located in Ennigerloh, Germany with an operating area of approx. 40,000 m2. About 250 specialists build a highly qualified team. The manufacturer has subsidiaries in Sassenberg and Ennigerloh (Plant 2 and Plant 3), Germany, L.B. Bohle LLC, in Warminster, PA, USA and L.B. Bohle India Private Ltd. in Mumbai, India. The company has one representative office in Shanghai. Furthermore, the company is represented all over the world in about 40 countries by independent sales agencies. In 2005, the L.B. Bohle Service Center was established. This well-equipped area offers the opportunity to operate the Bohle systems for trials and tests. 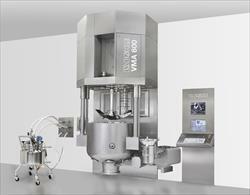 A complete pharmaceutical production line to develop and test machines and methods is available there. In a pilot scale it could be worked under real conditions. The production line will be completed with versatile measurement, test and analysis techniques. Furthermore the Service Center is the location for seminars and symposiums. The Technology Center at the headquarters was inaugurated in March 2015. Bohle focusses on continuous processing there and created a continuous production unit together with a consortium from industry and academia. 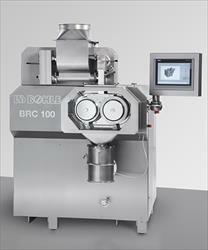 The unique feature of this plant is that the tablet production can be implemented either without granulation or with dry or wet granulation, in one system.